Crochet and Orchids: Sarcochilus Show! Thank goodness! Our last orchid show for the year is finally over and done! We had almost 300 plants on display and i must admit, everything went really well for our one day show. We are both really pleased with our four prizes, especially as one of our plants was considered for grand champion. That was a real boost for us as we have never been that close before. I am so pleased that things went so well, as show marshall, the 'buck' as they say, stops with me so it's nice to be congratulated instead of castigated lol... Now i can have a rest until next years round of events. A view down the hall. Oh, i almost forgot, can't rest just yet, got to get over christmas but that's something i'm looking forward to, lunch at my son's home with all the family..... Can't get any better than that. Wow that is wonderful news.. What a hoot to get that close to grand champ. :)) Well done friend..
good to hear you had a non-controversial roll at the show - always a toss up if you are going to get an earful in that sort of roll! Hiya, thanks for stopping by my place,and I'm glad you like visiting with me there. Stop by anytime. The orchids are beautiful,and the rose what color I bet the fragrance is out of this world. 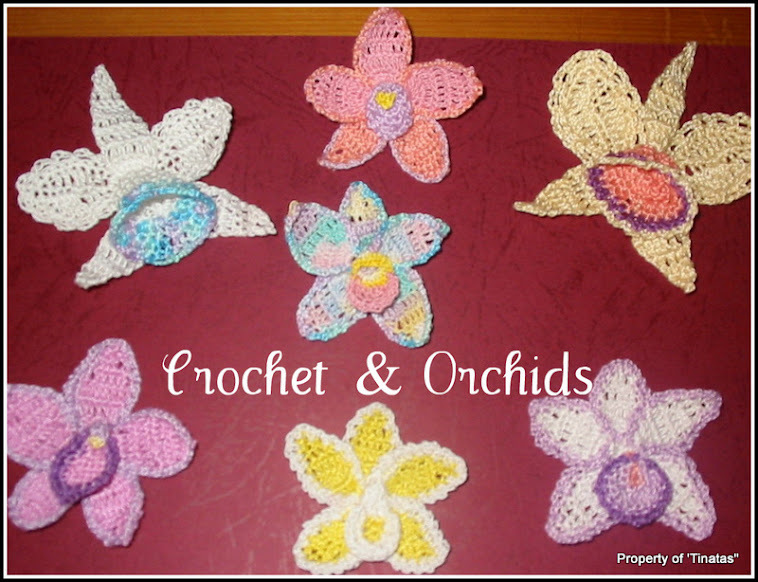 In your banner, what is the crochet "flower" ooh that is so pretty to, you do lovely work.